Please note: Grade 1 lessons use the Second Step puppets—Puppy and Snail—which aren’t included in the Child Protection Unit. 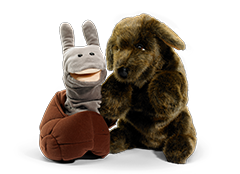 If you don’t have Puppy and Snail, you can purchase them separately, or substitute your own puppets. Grade 1 weekly lessons each take 20–35 minutes. Although talking to kids about sexual abuse is one of the best ways to prevent it, parents may not know how to begin the conversation or what to say. That’s why we created videos and articles with facts about child sexual abuse and tips for getting the conversation started. And the best part is they’re free to everyone. For families with students being taught the Child Protection Unit lessons, family letters help explain the program and adults’ role in child protection. Take-home activities further reinforce skills and encourage family discussions. The Child Protection Unit truly starts with training for all staff, with the following online training modules. 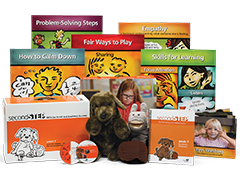 Early learning and elementary versions of Modules 2 and 3 are available to meet the needs of those distinct settings. 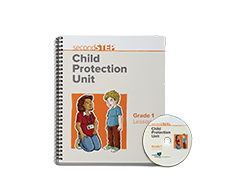 Taking a holistic approach to child safety, the unit provides materials and three modules of online training for administrators and all staff members. 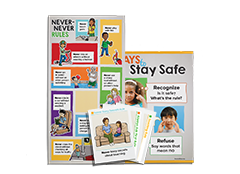 Easy-to-follow, scripted lessons teach children personal safety skills using clear, rules-based, and age-appropriate instruction, giving kids the know-how and avenues to disclose abuse. The Child Protection Unit extends support to a student’s home, with materials that keep parents informed and videos that help them talk with their kids about personal safety. We’re 35-year veterans in the field of child abuse prevention, and we’ve partnered with leading experts in the field. We’ve also taken our research and we’ve learned about best practices from our Talking About Touching: A Personal Safety Curriculum and applied the best of it to the development of the Child Protection Unit.